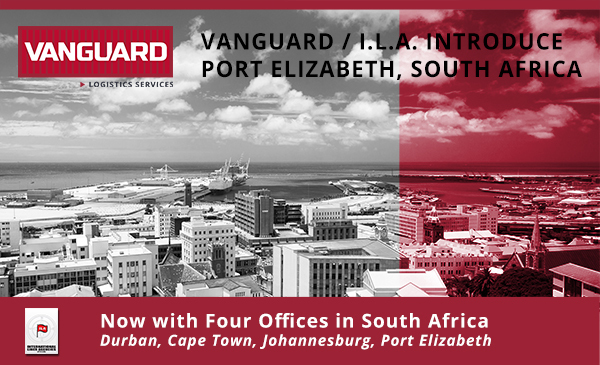 Vanguard Logistics / ILA is proud to announce the expansion of our South African Network to include an office in Port Elizabeth offering direct services to and from the United States, Europe, and Singapore. Vanguard is co-located at the Port Elizabeth CFS to ensure a hands-on approach and direct control of shipments. Expansion in this region exhibits Vanguard’s dedication to develop the premier NVOCC network for our customers, with the benefits of service, compliance, expertise, financial strength and visibility that the largest owned network includes.